Shimla : The government of India has approved the action plan amounting to Rs. 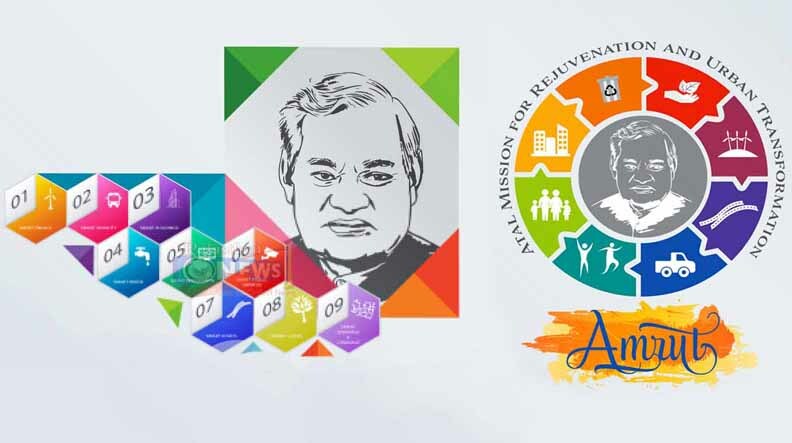 187.75 crore for Municipal Corporation, Shimla for implementing Atal Mission for Rejuvenation and Urban Transformation (AMRUT). Urban Development and Town & Country Planning Minister Sudhir Sharma today disclosed that Union Ministry of Urban Development has given approval for the project to be implemented for three years in the Corporation area after considering the detailed presentation made by the State government. He said a total sum of Rs. 52.94 crore would be provided under the project during this financial year out of which government of India would provide 50 percent financial assistance and State government would also bear 50 percent expenditure. He added if Municipal Corporation succeeded in meeting out the reforms initiated by the Union government in a stipulated time period, the Centre would provide 10 percent extra funds for this project. The Minister said the Corporation had already achieved 70 percent target under the different components and all out efforts would be made to complete the rest work in a fixed time period so as to avail extra financial assistance from the Centre. Sharma said the main components of the project includes water supply, sewerage network, urban transport, green spaces and parks and strong water drainage. The emphasis would be laid on achieving the major components like water supply and sewerage system. He added the target of hundred percent water supply would be achieved by 2016 and sewerage system along-with parks in the next three years. Commissioner, MC Shimla, Pankaj Rai and his team today gave a detailed presentation on implementation of AMRUT before the Union Development ministry. The presentations were also made by Bihar and Maharashtra States but only action plan of Himachal Pradesh was accorded approval.